Sanctions appear to have dampened interest in travel to Cuba, which has dropped dramatically this year. HAVANA — The Trump Administration is adding new names to a list of Cuban tourist attractions that Americans are barred from visiting. 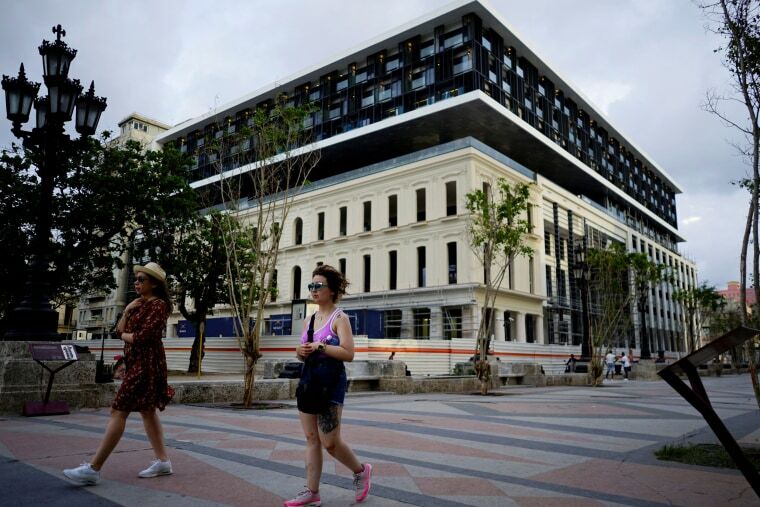 The 26 names range from the new five-star Iberostar Grand Packard and Paseo del Prado hotels in Old Havana to modest shopping centers in beachside resorts far from the capital. All are barred because they are owned by Cuba’s military business conglomerate, GAESA. Travel to Cuba remains legal. Hundreds of US commercial flights and cruise ships deliver hundreds of thousands of Americans to the island each year. And nothing prevents the government from funding its security apparatus with money spent at facilities that aren’t owned by GAESA and banned by the U.S. But the sanctions appear to have dampened interest in travel to Cuba, which has dropped dramatically this year.